With one notable exception, Founders has given me good to excellent beers. This is a pale ale that proudly proclaims its dry-hopped origin, so I'm hopeful about the hops in this thing. They know how to make a beer, and I'm expecting that they will apply that know-how to this beer. The light amber beer re-absorbs its head in due time, and it leaves significant lacing on the sides. I've noticed that very hoppy beers tend to do that, and this beer has the distinct floral hop smell buried under the caramel malt and citrus that comes through a lot stronger. All told, it smells tasty, if not well enough hopped. 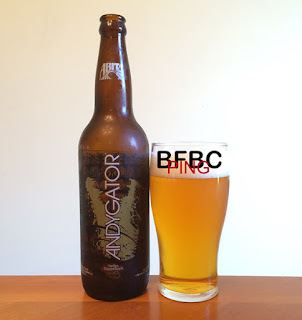 But, it's a pale ale, not an India pale ale, so a little lighter on the hoppiness is just fine. This is a single film that is also a series. It's not done in the way that The Lord of the Rings or a trilogy like that would be done, though. Instead, all three movies cover the exact same time frame and center around the same basic people, but they shift perspective. 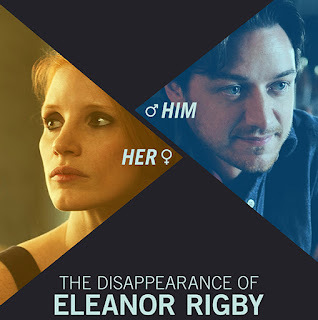 The first film is Him, then it's Her, and then there is the poor man's version called Them. Another Dogfish Head beer. Those guys are pretty good, and this beer... well, I have concerns going in. The label and name make me think of other beers that I've had that have tried too hard and then shifted toward the new hipster focus of sour beers. I'm not a fan of sour beers, but I like a nice bitter beer instead. I don't want to judge this beer to harshly right from the label. Dogfish Head knows what they're doing, and I have to give them their due. The minimalist head flees from sight very quickly, and the remnants can simply float in their lonely world and tell the tale of a head that was too small and died before its time. The beer that is laid bare is copper and smells of sweet honey and pomegranate. There's more to it than that - some roots and twigs. It's very earthy. I have had disappointing chocolate stouts, but I have also had excellent versions of the same beer. 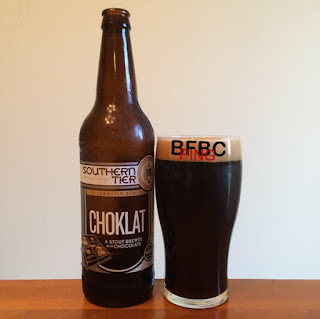 Souther Tier has been no stranger to this blog, and the results have been pretty positive overall. So, I am expecting great things from this specimen. Okay, I seem to always have high expectations, but I'm an optimist. Forgive me. A ruby redness hides in the dark heart of the beer as it sits on my table (on a coaster, obviously, I'm not an animal) and allows the head to re-absorb back into the beer leaving a good amount of lacing on the sides to witness that the foam was there and sturdy while it lasted. 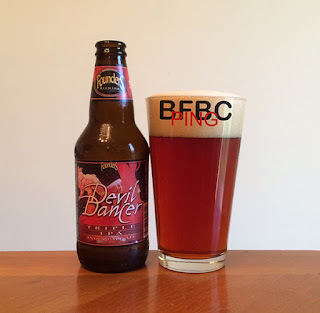 A paper-thin film remains across the top, but it can't hide the very chocolate, cherry, and sweet malt aroma. I went into this movie thinking it couldn't possibly be as bad as everyone said it was. I mean, Reese Witherspoon has been in some bad movies, but she is an Academy Award winning actress who consistently brings her best game on screen. She doesn't settle for just pushing out a lousy movie like Adam Sandler or Cuba Gooding Jr.Well, that is what I thought going in. What a lousy movie. Maybe it was the fact that Reese also produced this movie that made her go... nuts, I guess? She can do comedy, but I don't know what this was supposed to be. I never found myself laughing, and I never found myself even cracking a smile. This is not a comedy. This is a cautionary tale for award-winning actresses who want to branch out and do semi-slapstick, formulaic comedies with people who they simply have no on-screen chemistry with. I can't say I was excessively impressed with the last Abita beer I had, and I noticed that I actually avoided ordering their beers when available at bars. This was an overreaction to was was a fairly middle-of-the-road beer, and the brewery really deserved to get another shot. This is a "high gravity" beer here in the state of Tennessee, as a result of its ABV of 8%, which is high by average standards, but it pretty much where my beers seem to have been lately. The beer is golden with a slightly orange hue that puts me in mind of honey. The head is moderate, and it gives way to more lacing than it has any right to leave on the sides of the glass. The thin veneer of bubbles across the top don't block the aroma of sweet malty bread and hoppy goodness mixed with a bit of citrus. Do beers always always taste like they smell? Not always, but if this one does, it will be fan-damn-tastic. Tom Hardy. This guy has shown a wide enough acting range that I'm starting to consider him a genuine grade A actor. He's already shown his capabilities (especially with Locke) and deserves a lot of respect. The fact is, his portrayal of Bane in the last Batman movie was actually pretty good, but that movie had its own problems, and his wide shoulders had to take the brunt of them. 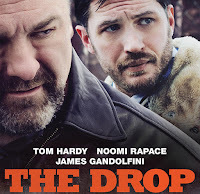 In this movie, Tom plays a simple bartender from the Bronx. At first, I even wondered if the opening voice over was Tom at all, as the voice was much higher pitched and the accent was so recognizable as New York. Admittedly, it isn't a spot-on accent for the entire movie, but it is really good for an Englishman. I have no explanation for his voice being about an octave and a half higher than his normal register, but he maintains that one just fine. SweetWater has produced some middle of the road beers. As a result, I was reluctant to buy this, but I have literally tried most of the beers on the shelf of my distributor who I seem to rave about a little too much. I swear, he's not paying me for it. I'm pretty sure he doesn't even know I run a blog. I figured this bottle has very different style about it, so maybe they put more effort into it. I know, it's unwarranted optimism, but that's what I'm giving them. In the deep amber mist of the cloudy beer, there be dragons of seawater, malt, and citrus. The frothy foam that floats atop the beer waits for ages before skulking back into the murky depths of the beverage. Eventually, the suds become a scant quarter of an inch of industrious bubbles. When I first saw the title of the movie, I thought it was going to be a new interpretation of the Magnificent 7/7 Samurai. 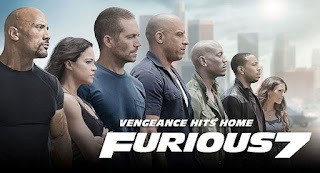 Instead, it is the seventh installment of the Fast and Furious movie franchise, and I have seen all six of the others. This movie takes the pure insanity of the others to a whole new level. And this is a level that has spinning shots of people doing things... lots of spinning shots. Hey, Sung Kang's character finally dies, so we can assume the events of the third movie happen sometime between the end of the last movie and about five minutes into this movie. Also, we now get the most unlimited car budget that anyone has ever had. We get lots of old-school American muscle, some sportscars, some supercars, some hypercars, and an inexplicable product placement of a Dodge Charger. I've had some good barrel-aged beer, and then there was the whole run of Innis and Gunn beer that got pretty much middle of the road marks across the board. I still have hopes for the technique, and that recent Mayday beer makes me think I may be onto something. Let's see what this beer can do for me. The brown head is full and creamy. It sits atop a beer that is so deep brown that it feels almost frightening, but I may be projecting my own childhood fears of that terrible stuffed teddy bear, Brownie, who sat in the corner and watched me sleep. He was almost always still there in the morning. He almost never tried to smother me with the pillow. That memory aside, the aroma is chocolate malt, oak, and a slight hint of coffee. The other two Howe Sound beers I had were absolutely spectacular. I really hope that this is another on. I don't even know if they put out any beers that aren't thick and rich, but let's not start with this one. I'm not going to say that Howe Sound will supplant Lagunitas as my go-to brewery after just two beers, but these guys clearly have their stuff together. 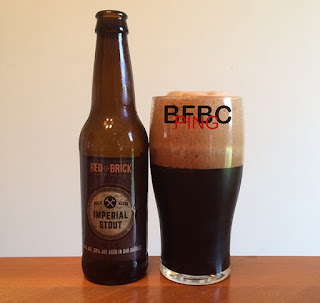 Deep ruby brown to the point of being opaque, the licorice hued beer has a soft and delightfully sticky head and an aroma that is overwhelmed with licorice. There are other, more subtle smells with it, but the licorice stands atop them with vigor. The other smells seem to be a sweet malt, coffee, toffee, and maybe... oak? Definitely a wood of some kind. 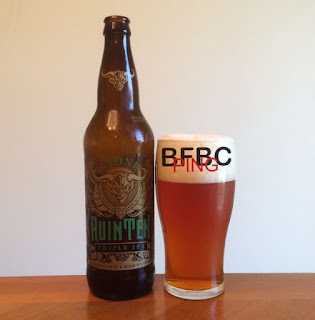 According to the label, this is the 10-year anniversary beer based on the "legendary" Ruination IPA. 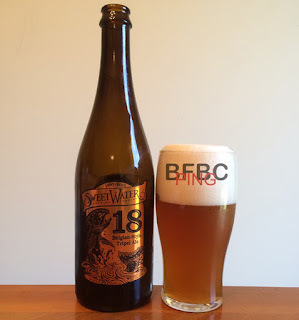 I know I've had the regular (non-anniversary beer) before, but it appears that it was before this blog got started, and I don't actually remember much about it. 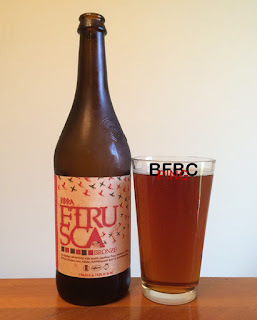 I had a different Stone beer during this blog, and it was very good. 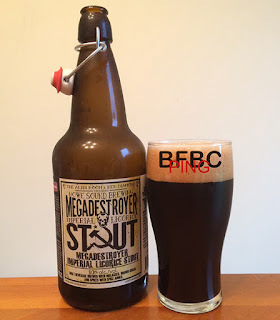 The real question is if this beer can live up to the hubris that the brewery seems to exude. The head is so thick I could lay a quarter on it. It leaves good lacing on the side as it goes down, but the head is so persistent that it's hard to see the lacing at all. The color is a red amber, and the aroma is a whole face-full of pine hops. There may be some citrus lurking in the depths, but hops are what this beer is about, and it makes no apologies. The sip is really going to be something. Today's beer has a very hipster logo, but it claims to be anti-hipster. Honestly, I find this JUST the kind of thing that a hipster would do ironically, so I don't know if I should trust it. The fact that City Sliquors suggested it is the only reason I am even giving it a chance. I really enjoy a good military movie, even though Hollywood really doesn't have much idea how to write for soldiers or how to interpret actual military strategy or events. This is kind of a misleading and too sweeping of a statement, but it seems to hold up pretty well. From the story that was pumped-up for the screen in Unbroken to the flawed characters and tactics in Fury to the modern story and intolerable insubordination of Cam X-Ray, writers try to shoehorn in their own politics and their kind of flaky, wishy-washy temperaments. I had the White Ale before, and I had really hoped for something better. A friend mentioned that they really put out some great beers, so I should give them a second shot. I was paying for this when the guy checking me out said that the White Ale was the best of the bunch, so I come into this one with a bit of trepidation. Still, a porter, eh? A very deep red to the point of being black, the fluffy head tops this beer for a very short time, and it leaves a mere ring of bubbles around the rim with minimal lacing. 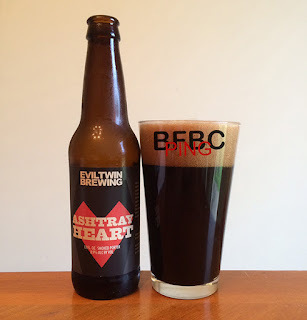 The aroma is smokey malt and cherries. I think I can smell a little bit of coffee and a little of chocolate, but I may just be expecting those smells, so I'm picking them out. There were a bunch of recent headlines around the Linux-based smart rifle that some hackers demonstrated the ability to control in a limited fashion remotely and against the user's wishes. The rifle itself is a bit of a curiosity in its own right, and the fact that you have a rifle being hacked certainly causes a bit of a stir, and rightly so. The problem is that the number of these kinds of rifles out there are next to none, and the actual scenario that would have to play out in order for this hack to go so horribly awry is kind of a stretch. Likewise, there are rumblings about an electric skateboard that can be disrupted. Some beverages from the UK have been surprisingly good. Others have had some serious issues. I've seen this beer on the shelf the last few times I visited the local distributor, and every time I pass it by, I think that I might be missing something. the label is simple, refined, and effective. The beer inside is a chocolate stout, so they are definitely trying to get me as a drinker. So dark brown that only a few photons tell me this isn't black, and the head is so thick that you could pour it out and use it as the foundation for a shed. Predictably, lacing is copious and lovely. The aroma is not as overpowering as I expected. I thought this would be like opening a giant bag of chocolate chips and sticking my head inside, but the smell is fairly restrained. In fact, it's not even particularly chocolatey. 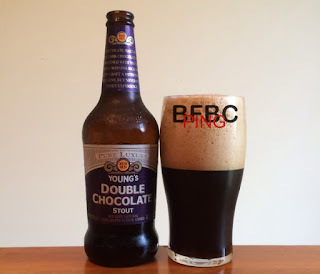 Instead, it has a sweet kind of chocolate malt that dominates and is curiously smokey. All of the Founders beers that I've tried have been above average. Triple (or tripel) beers have had about the same run. Now that they are together, this sould make for a delightful beer, and I'm going to enjoy the living crap out of it. Wispy eddies of sediment swirl in the middle of the red-amber hued beer with a thick and sticky head. The aroma is an oddly sweet-smelling hops. There is no mistaking the fact that this is an IPA, and I don't mind that one bit. I like a hoppy beer, and this is hoppy. I assume the sweet smell is coming from the malt, and if the mixture is just right, this could really be a winner. I can't say Evil Twin has knocked my socks off so far, but I love a good porter, and this one is right up my alley from the label alone. While New Belgium can't design a label for the life of them, Evil Twin is all about cool marketing. If they can hone their talent for making good beer, they can really make a go of it. 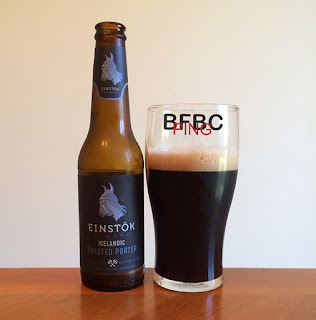 This is another beer that falls into the category of "so dark, it may as well be black." Technically, it is just really, really dark brown, but you're only kidding yourself if you don't call it black, which is the right color for a porter, in my opinion. The very brown head leaves a little lacing behind as a sign that it was once there and would be back if there was any trouble. The aroma is smokey malt, nuts, and metal. I was without internet access for about five hours two days ago. I had been remotely connected to work when my session disconnected. This event isn't as unusual as it should be, so I manually ended the broken VPN tunnel and tried to reestablish it. It was about that time that I noticed that my PC had lost internet access altogether. I checked a few other things, and I even noticed that my cell phone's internet (even though 4G was indicated) was unaccessible. My cell and my broadband are both AT&T (the map of the outage from DownDetector.com) and I was relegated to over-the-air TV, terrestrial radio, and my HAM radios. I watched this movie when it first came out, and it didn't strike a chord with me in the least, even though I normally like superhero movies. Jonah never really fit into the superhero genre, though - he was like Conan with his roots firmly in the past and his superpowers sufficiently minor and vague that he just doesn't really count. It's more fantasy than anything, really, with magic and technology that shouldn't exist at the time and things like that. I recently heard an interview with Temple Grandin, and this movie was mentioned. I had never seen nor heard of it, but she was a pretty fascinating interview, so I set off to find the movie to watch. I found that it was an HBO made for TV movie, and TV movies would put me off right away if it hadn't been HBO. HBO has done some fantastic things with their TV series and movies, so I had high hopes going in. This comes from three different breweries. The reason I considered it at all was because of Stone Brewery, which is a very well-known brewery in California that has produced some good beers in the past, and they have the respect of the craft brewing community, even though I've really only seen a glimmer of hope in their beers so far. It does not look like tea. At least, it looks like no tea I've ever had. Instead, it's an excessively hazy amber with an eggshell white head. The aroma is all sorts of West Coast IPA. 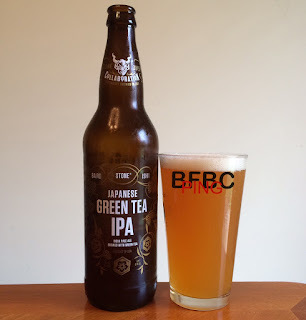 It has floral and pine hops just perched atop orange and lemon bliss on a fresh baked bun. I can't smell any green tea, but tea doesn't exactly have an overpowering smell, so it's not surprising.